Enduro racing keeps being touted as the next big thing in mountain biking, but what exactly is it? Read on to find out what it’s all about and why you might want to give it a go. There’s a clue in the name – it’s racing with an endurance element. In the early days, ‘enduro’ races were long-distance cross-country races, but those now tend to be known as marathon races. 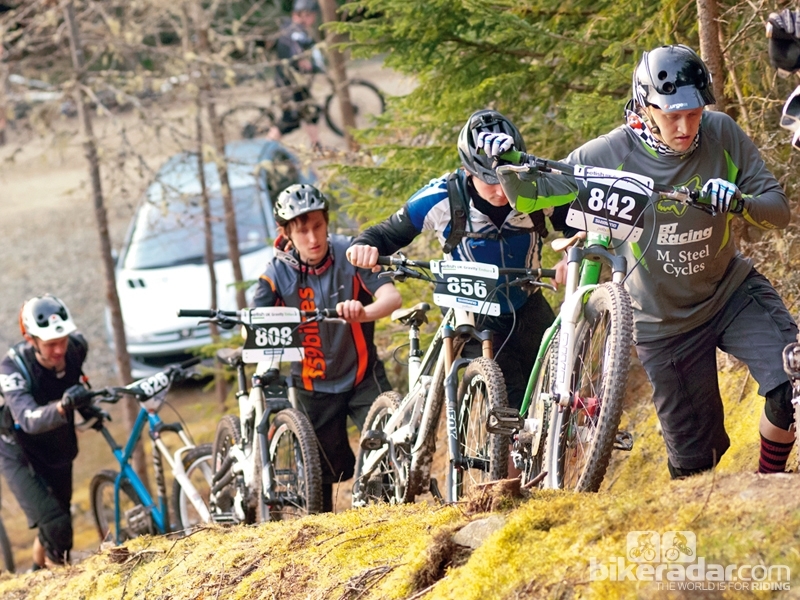 Modern enduro events are very different, with an emphasis on downhill gain over uphill pain. 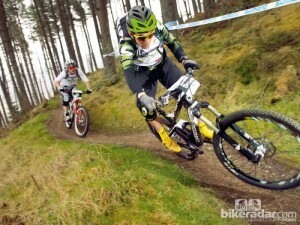 There are two main race types – enduro downhill and gravity enduro. Enduro downhill events like France’s Megavalanche and Mountain of Hell are what kicked the whole craze off – long-distance races down big mountains, with mass-starts and short uphill sections to keep racers on their toes, and snow and ice on the upper slopes adding to the fun! Not all of us are lucky enough to live near mountains, and that’s where gravity enduro comes in. Without long downhills at their disposal, race organisers had to get creative. 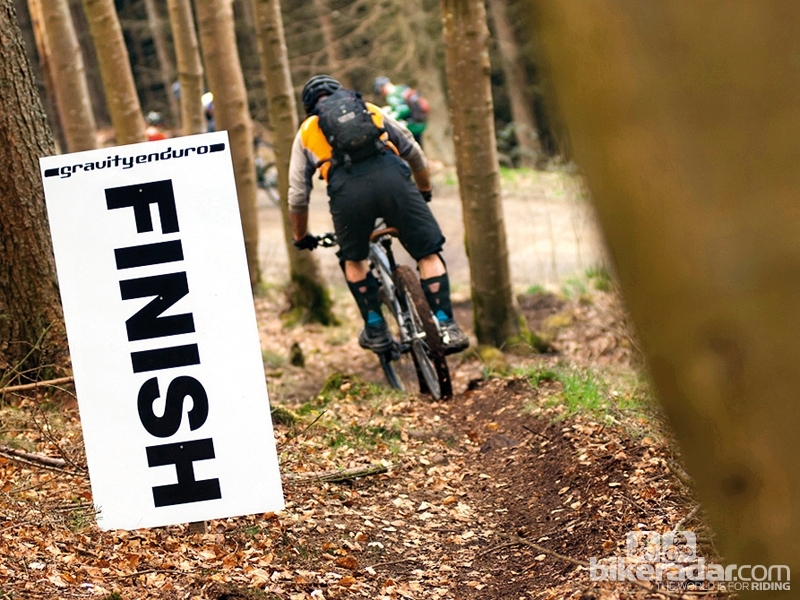 What they came up with is a race format that combines timed downhill sections with untimed uphill connecting sections, though these often have to be completed within a set time limit. The best known gravity enduro events are probably France’s Trans-Provence and the Canadian Open Enduro at Crankworx Whistler. In North America, gravity enduro is sometimes called ‘all-mountain racing’, with the unofficial All-Mountain World Championships being held at the Downieville Classic in California every August. 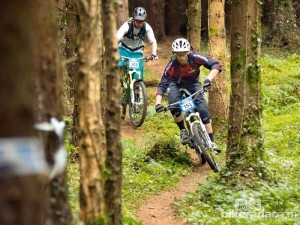 What’s so good about enduro racing? 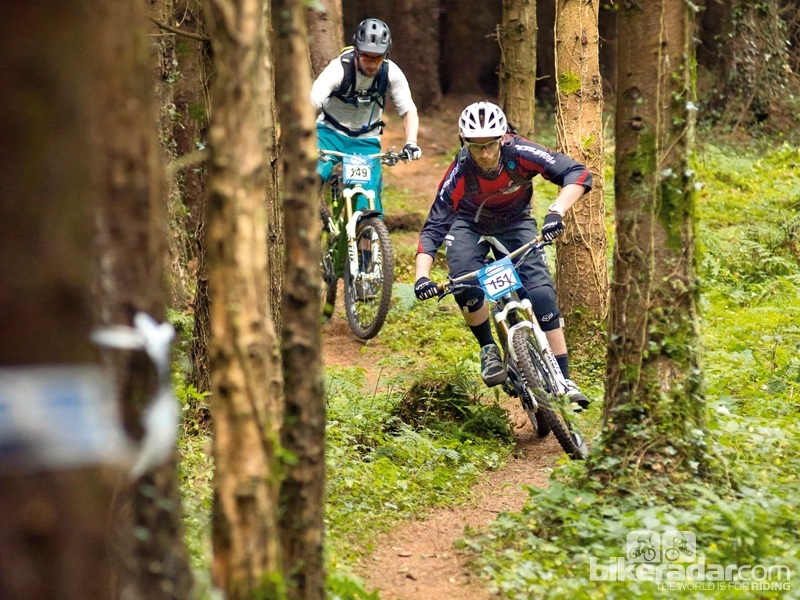 Downhill racing requires balls of steel and expensive kit, and cross-country is largely about fitness, but anyone with a decent trail bike and enough stamina to ride their local singletrack for a couple of hours can have a bash at enduro. You get a lot more riding for your entrance fee than at a downhill race, where you get just one final run and a few goes in practice. This also means a mishap or mechanical won’t necessarily put you out of the running. 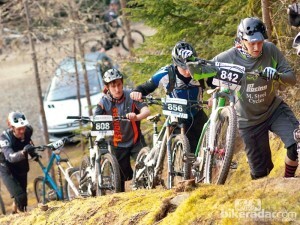 The other big thing going for enduro races is the friendly atmosphere. While the top guys are definitely in it to win it, further down the field it’s more about having a go and enjoying a bit of finish line banter. Who are the riders to watch? The French have traditionally dominated, from former World Cup stars Nicolas Vouilloz and Anne-Caroline Chausson to enduro specialists like Jerome Clementz and Remy Absalon. The Brits and North Americans are catching up though, with Dan Atherton and Tracy Moseley making the switch from downhill, and Mark Weir, Adam Craig and Ross Schnell all chasing all-mountain glory. What type of bike do I need if I want to have a go? 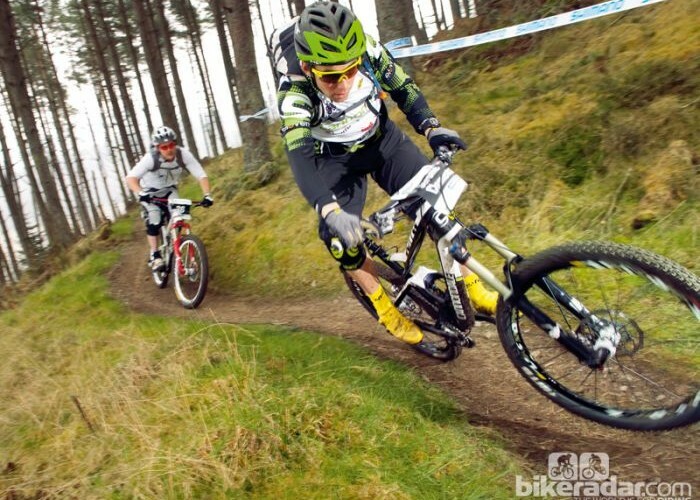 Most enduro racers opt for a full-suspension trail or all-mountain bike with 140mm to 170mm of travel. 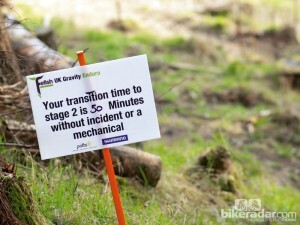 There’s nothing in the rules to stop you using a hardtail or lightweight cross-country bike but you’ll find it hard work on the descents, while longer-travel freeride and downhill bikes are a drag on the climbs. It’s a good idea to fit a chain device or clutch-equipped rear mech so your chain doesn’t get bucked off in the rocky sections. Big-volume downhill tyres are decent additions too – they increase puncture resistance and add comfort – while a short stem and wide bar will improve control, and a dropper post will make it easier to throw the bike around when things get sketchy. Do I need any special riding gear? 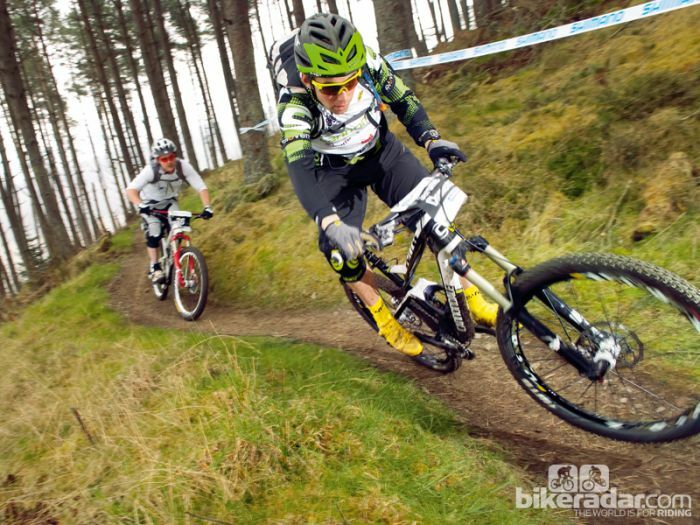 Full-face helmets are a good idea for rockier tracks but standard trail lids are often fine for more pedally venues. Kneepads, gloves and eye protection are essential. A hydration pack with basic spares is a good idea too. Where can I have a go? Alongside the new world series, several European countries have their own series and enduro racing is beginning to take off in North America too. Here are some of the main national and international events. One thing to bear in mind – rules and regulations tend to vary from country to country so make sure you read the Ts&Cs!